Joining the Joomla! 3 compatibility list, RSTickets!Pro comes with a new frontend layout and Bootstrap capabilities, a support ticketing solution to suit most needs. We’ve been quite busy these days launching the new RSForm!Pro 1.3.0 , working on an important RSEvents! update and today, with the release of the new RSTickets!Pro revision. RSTickets!Pro rev. 4 comes with fresh updates: improvements, minor bug fixes and new added features, some of them highly requested by our subscribers. Among other features from our TO DO list, we have chosen to include the ability to submit tickets directly from the backend. Starting with rev. 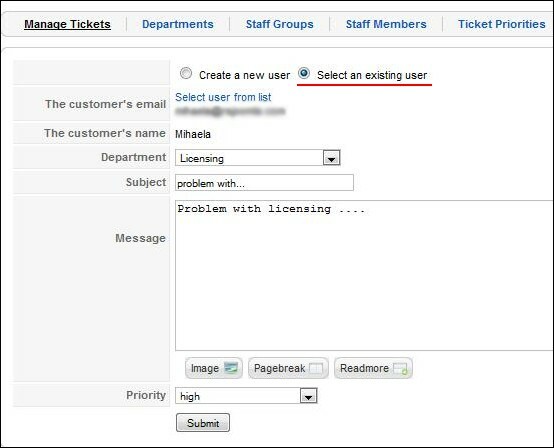 4, the administrators and the staff members can submit tickets for a public user (a new account is created right after submission ) or on behalf of a registered user. To submit a new ticket from the backend, head to Components >> RSTickets!Pro >> Manage Tickets >> click on the “New” icon from the right side of the panel. Introducing RSTickets!Pro - the new Joomla! help desk from RSJoomla! 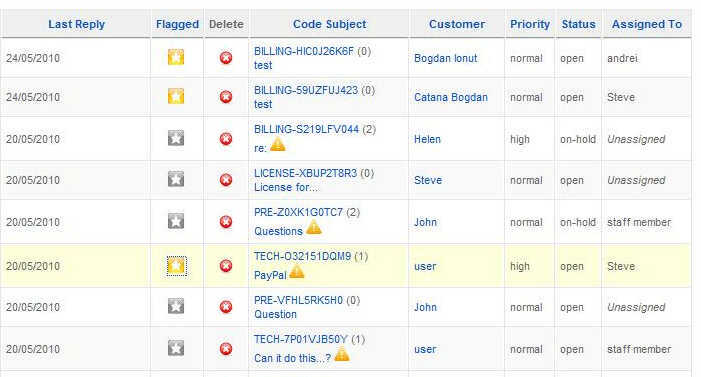 The new RSTickets!Pro gives a new meaning to the help desk extensions for Joomla! Most of the features requested on RSJoomla! 's feedback were included in the new release: backend ticket management, reporting tool to measure the support efficiency, FAQ system. If you spend most of the time logged in the Joomla! backend panel, then the RSTickets!Pro is for you (the ticket management can also been done in the frontend). The staff members can now manage tickets from the backend. They can reply to tickets, close or reopen, edit or delete tickets, add internal notes or view the existing ones. They also can modify the ticket information: edit the subject, the status, the priority, the staff member or assign the ticket to a different customer. We value our customers and want to improve our products to fit their needs. That's why we've created the RSTickets! JoomSEF plugin, tested and working with Artio JoomSEF 3.2.11, and we're releasing it for free! To download the plugin, just go to Resources > Customer Downloads if you've already purchased RSTickets! If you encounter any bugs with our products, please report them.